The mission of Des Moines University Continuing Medical Education is to provide health education and professional opportunities that promote development and optimal patient care. The educational offerings will advance the prevention, diagnosis, and treatment of disease. Included among our educational offerings are updates in clinical medicine and basic science research, review of current or best practice recommendations for clinical care, learning modules in quality improvement, procedural and communication skills, development exercises, and professional development in academics, leadership and patient safety. 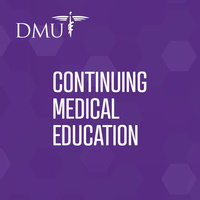 The educational activities offered through DMU CME will enhance learners’ competence, performance and patient outcomes in the subject area(s) offered, encourage interprofessional collaboration, develop teaching skills, and improve patient outcomes. Learners will have increased confidence in their approach to clinical or administrative problems or will express intent to change their behavior and apply newly acquired strategies.